Adventure is adversity properly viewed. The whole is greater than the sum of its parts. 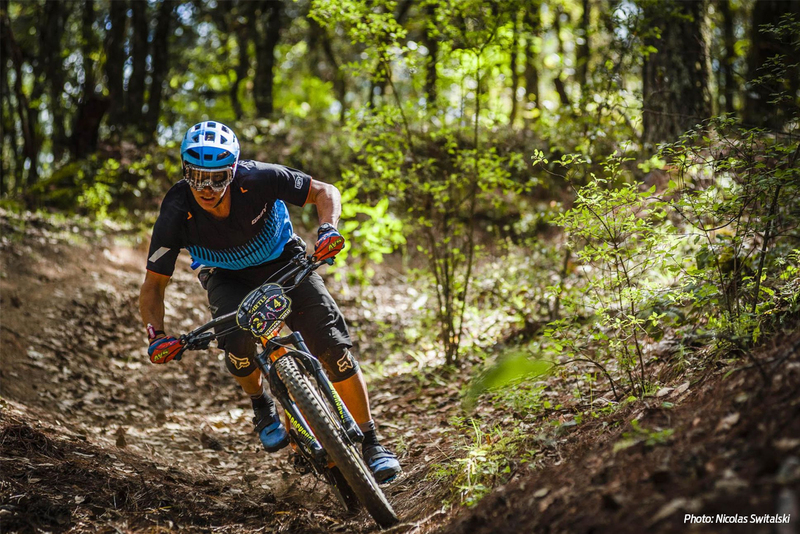 Both maxims apply to Eric Pirtle’s trip last November to race the Trans Sierra Norte, a three-day “blind” enduro in the mountains north of Oaxaca, Mexico. A competitive cross country racer since the early 1990s, Pirtle has worked at Giant Bicycles USA for the past ten years as a Midwest account executive. 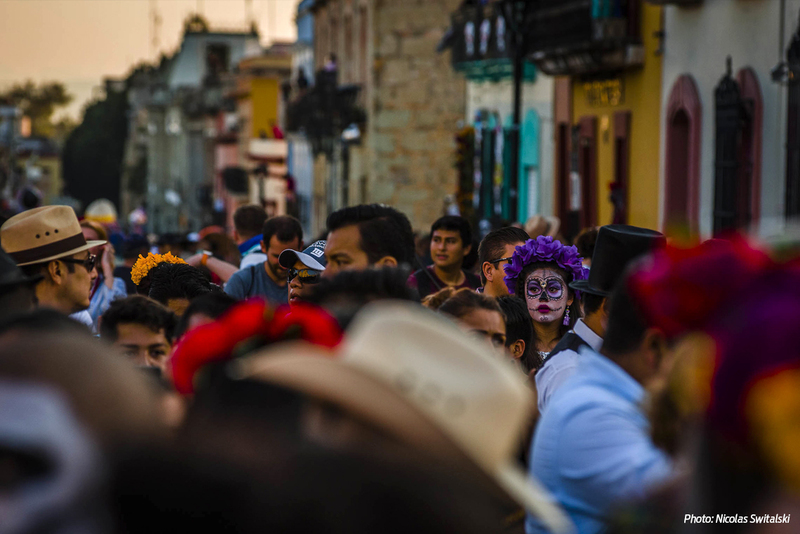 Here’s his account of racing through the Day of the Dead, battling past injuries, and finding new perspective in a land both incredibly exotic and tantalizingly close. Adventure waits. Go out and grab it. I’ve always enjoyed racing mountain bikes and challenging myself on tougher terrain. Being from Missouri, I have access to plenty of technical riding, but not steep, mountain trails with long descents. This is the realm of Enduro racing, a style I’ve embraced now that I’m in my forties. So when an opportunity presented itself to compete in Trans Sierra Norte in the high mountains of Oaxaca, Mexico, I jumped. The race itself is in the Sierra Norte mountain range, a richly forested area famous for its biodiversity. It was also scheduled during one of the most amazing festivals in the world, The Day of the Dead, when it’s believed the gates of heaven open at midnight and deceased ancestors return to offer their blessings. As a total bike nerd, my first step was to acquire the most appropriate bike for the race. 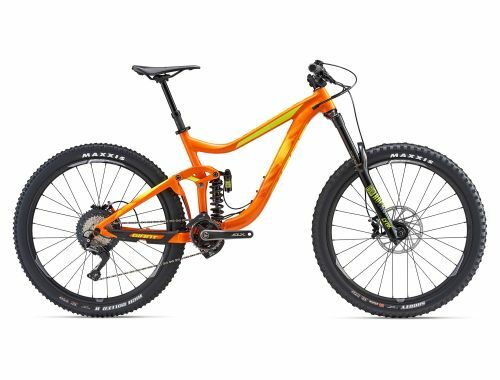 Based on some spotty intel, I chose the 2018 Giant Reign SX for the coil shock and the 170mm of front suspension travel. The second step was to figure out how to train for a rigorous three days of ten- to fifteen-minute steep, high-speed downhills, followed by long uphill transfers. I was excited, nervous, and not super confident as I left Missouri. 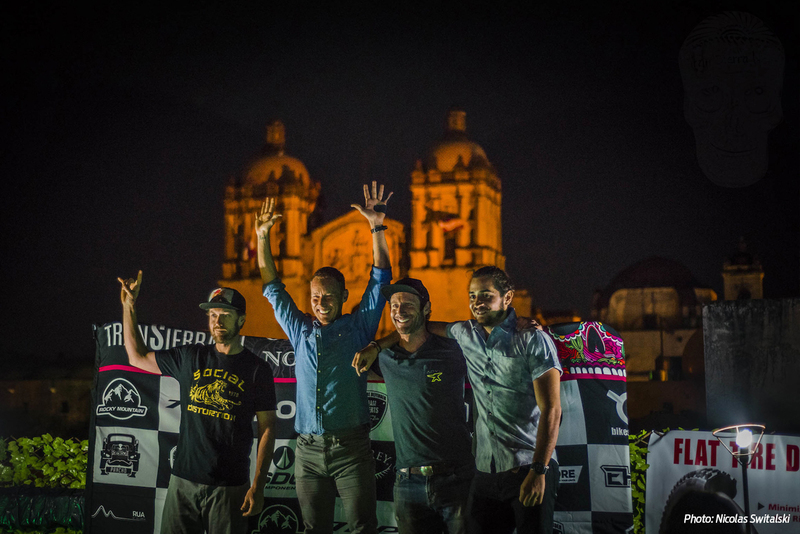 Once I arrived in Oaxaca, however, I got the feeling this was going to be a fun, laidback experience with like-minded competitors. The Day of the Dead celebration is enough to throttle anyone’s energy up to 10. It takes over this incredible Spanish colonial city, and everything from the music, the parades, colors, people, and—most of all—the food is unlike any other experience. The transfer from Oaxaca City up to the high mountains was an adventure in itself. The old school buses—each with copious flair—used to transfer the competitors slowly negotiated cliff-lined unpaved mountain roads. They eventually brought us to a welcoming village of 50 people and their outstanding fresh home-cooked food. The rustic town had just enough cabins to house the 80 racers. At this point, I was at ease. The race promoters had the logistics and authentic vibe dialed. It was now up to me to capitalize on my racing experience, be a contender, and—most importantly—have a good time. Day one of the three-day event was a long one. We had to complete five stages by sunset so we could catch the hour-long shuttle back up the mountain. I rode conservatively, knowing it was going to be marathon not a sprint. My goal was to avoid major crashes or mechanicals that would knock me out of contention of a high finish. After four long, tough stages and transfers, we were getting behind schedule. The sun was setting and we all still needed to finish stage five. I was rushed and maybe let down my guard, and ended up paying for it. First came a stick in my rear wheel that required a complete stop at 30mph. That was followed by a pedal-strike crash due to the weird sunset shadows in the forest. Despite the setbacks, my third-place finish gave me a lot of confidence. Now, however, the race became a mix of fun and pressure to maintain the podium. The plan was to race with a little more aggression and I knew day two didn’t favor my abilities: two separate stages containing 20 to 30 super steep loose switchbacks. This day proved to be my weakness. Not only was I slower during two of the four stages, I also suffered a terrible crash on the last stage of the day. The aftermath was a significant torn tendon in my left hand and cuts to my leg that required the medic’s attention. I dropped down to fifth place overall, and was unsure if I could even finish the event. It was a tough night as the pain prevented sleep just as much as the thought of a DNF. On the final day, however, I decided I had nothing to lose and should try to at least finish the first stage. I was able to complete this stage with lots of medical tape wrapped on my hand to stabilize the injury. Strangely enough, I think this helped me relax and use less front brake. By the end of the day I was so happy to finish, but I had no idea what my times were. I did know, however, that the 2018 Giant Reign was a perfect weapon for the super-steep rowdy terrain of Mexico. We all had a long transfer back to Oaxaca City to pack bikes and shower before the after-party awards ceremony. The bus ride from the mountains to the city was nothing less than a party itself, with enough beer and mescal to satisfy the most seasoned partier. The official after party was situated in the heart of Oaxaca City during the peak of the last evening of The Day of the Dead festival. I can’t imagine a better way to end three awesome days of descending arguably the best trails in Mexico. It was here, in the midst of the festival, that I learned I pulled off the overall win. Charging from fifth place to first with an injury was not something I expected. This was a hard-earned win chalked up to 25+ years of bike racing and proper equipment choice, but the overall experience made it three days to savor.